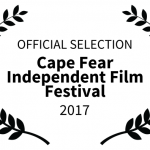 Recent screenings of SHARECROP and SHARECROP: DELTA COTTON: National Council for Black Studies, African World Festival at the Charles H. Wright Museum, Southern Shorts Awards, Cotton Kingdom Symposium at MS Valley State University. SHARECROP showcases the experience of ten individuals who were involved in sharecropping during the segregation era. Featuring rare archival footage and many period images, the film conveys stories from cotton sharecroppers in the Mississippi Delta, tobacco sharecroppers in the Carolinas, and others. SHARECROP explores their lives, the way they worked, and celebrates the resilience of the South’s forgotten farmers. 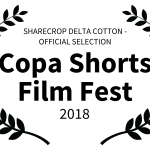 The film was made possible by the generous support of the Middle Road Foundation. 3) Theater screening: Click to request a SHARECROP screening in your area through TUGG! There is no upfront cost for this option, TUGG rents the theater and retains a portion of ticket sales. Screening organizers receive 5% of ticket sales! 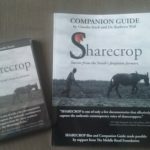 6) Purchase the SHARECROP DVD and Companion Guide set licensed for classroom/library use. Send a check made to Stack Stories LLC for $59.95 to: Claudia Stack Stack Stories LLC, P.O. Box 525, Rocky Point, NC 28457. Be sure to include your mailing address. Shipping via media mail is included in the price. Contact Claudia Stack if you wish to request an invoice for your institution. Buy the Sharecrop Companion Guide for private use. The book provides historical context for the film and vignettes about each person featured. The SHARECROP film project was made possible by the generous support of the Middle Road Foundation. In addition, Claudia Stack thanks Carolina Video Edit and Historic Wilmington Foundation for their invaluable help.